Right to start with the MFJ-1788X (Magnetic Loop Antenna 7-22 MHz (40-15M)) has been ordered awaiting delivery. I might contact Martin Lynch & Sons to say I’ll collect from Kempton Radio Rally (West London Radio & Electronics Fair) on Sunday 10th November so not much to report yet. Also I purchased a DVAP Dongle. I went with the 70cms model as it’s a larger band and usually quieter. Some people mentioned that it’s it illegal. Well after some reading it seems I have to tick “lock callsign” box in UK and I have to be nearby so it’s still classed as attended. 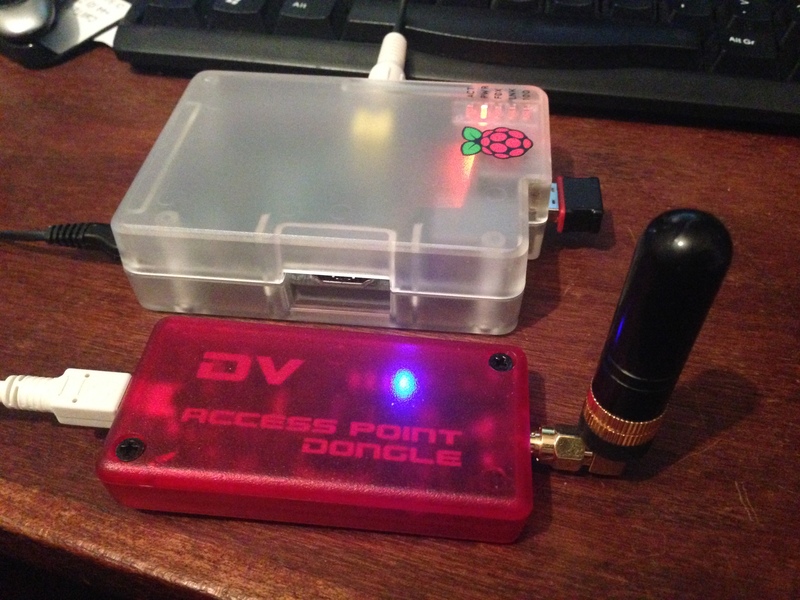 Also the DVAP Dongle only transmits about 10 mW into it’s tiny antenna (see in photo with Raspberry Pi for size comparison). 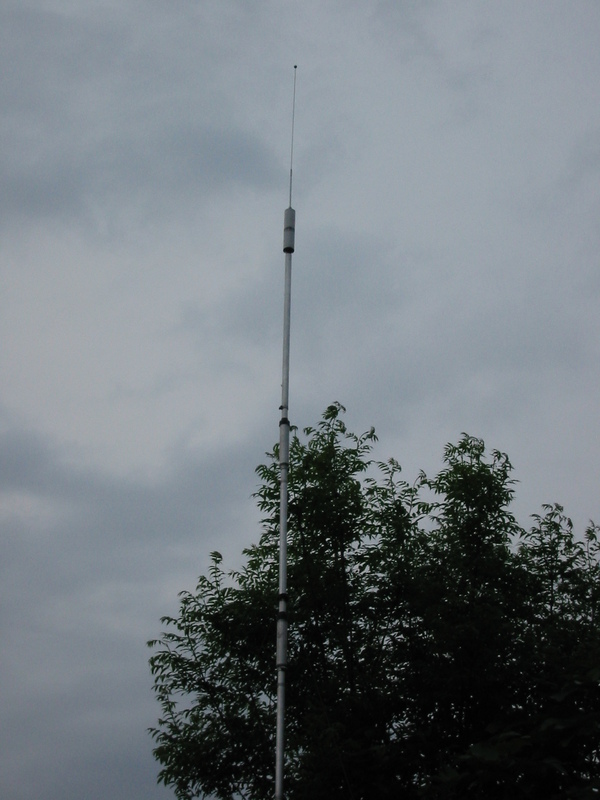 I’ve had a few QSOs on it, and it’s nice to work anything waiting for my Mag Loop antenna. Update (belated):- It was delivered after Kempton, but seeing the size of the box, I’m glad it was delivered. Well I am slightly sceptical myself, but I may have heard my first international contact from the USA. I was scanning on the UHF frequency and the radio stopped at 433.020Mhz. The person talking was trying to see if anyone was out there, but was getting no answer so sign off with his call-sign KO6HW. He was from California USA (apparently). When he went, I then heard someone chatting for a longer time on 433.080Mhz but I missed his call-sign as he said it to quickly, but he said he was in Adelaide. The only Adelaide I know is in Australia. So maybe the conditions were right, or they were not where they were meant to be. But as it was 2 different people, giving their call-signs, on 2 different frequencies, I am inclined to believe them.